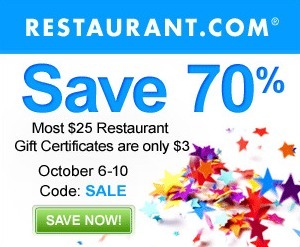 Save up to 80% Restaurant.com vouchers using coupon code SALE. This offer expires October 10. -Use coupon code SALE at checkout.